I first read this book in January 2010 and I remembered how amused I was by it. It was light, entertaining and mostly heart-warming. Today, I revisited it. It was one of those times where I just took one look at the book (on my shelf) and decided to read it, just once more. 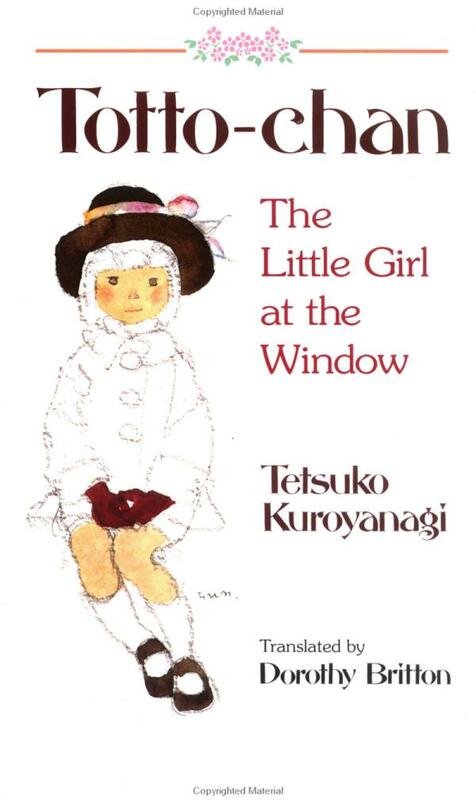 The book centres around Totto-chan, a pure-hearted but naughty girl who was lucky to be expelled from her first school and then transferred to another rather unusual school founded by an extraordinary and an equally unusual man. This man – Sosaku Kobayashi – is a firm believer in freedom of expression and activity. What’s unique about the school, you ask? Well for one, their classrooms are made out of old railroad cars! This book will tell you about Totto-chan’s childhood and about an ideal school in Tokyo during World War II that combined learning with fun, freedom and love. The following is one of my most favourite chapters from the book, not only because it is funny, but it also reminds me of how pure and free a child can be especially when it comes to love! She was in third grade now and she liked Tai-chan a lot. He was clever and good at physics. He studied English and it was he who taught her the English word for fox. Totto-chan had luxuriated in the sound of that word all day long. After that, the first thing she always did when she got to the classroom-in-the-train was to sharpen all the pencils in Tai-chan’s pencil box as beautifully as she could with her penknife. She didn’t bother about her own, which she just hacked at with her teeth. In spite of all that, Tai-chan had spoken roughly to her. It happened during lunch break. Totto-chan was sauntering along behind the Assembly Hall in the region of that notorious cesspool. Tai-chan’s voice sounded cross, and she stopped, startled. Pausing for breath, Tai-chan said, “When I grow up, I’m not going to marry you, no matter how much you ask me to.” So saying, he walked off, his eyes on the ground. Totto-chan regretted it with all her heart. Yes, that was it. What on earth made her beat the boy she liked so much she sharpened his pencils every day? But it was too late. She could never be his bride now. I was expecting to be bored and disinterested when I stepped into our Sports & Specialist Blog class. It was in April 2011, and the weather in London was its normal cold, wet and gray. I, too, was cold and tired from the weeks’ of intensive running around chasing for stories for our writing portfolio. And I wasn’t looking forward to an hour of sports journalism chit chatting and the know-hows. I’ve come to realize, nay, accept, that I may never be a sports expert, what more a sports journalist! Then, in came our instructor, Ross Biddiscombe, who is an established sports journalist and book author. Lo and behold, what d’ya know! Ross expounds that sports journalism isn’t about being a sports expert. In fact, he says, in journalism, the most essential ingredient is contacts. Yes, the contacts that you establish from the people that you meet are as essential as this pc you utilize to scribe your stories. You see, journalism is essentially about talking to people. You can’t be a journalist and write a story without talking to people. And if you have good contacts, the better chance for you to churn out a good story. Because people want to read about good people. Whether they’re famous, intelligent, nice, etc etc, we want to read a story that involves other people, especially of ourselves. Ross also went on to say that anyone, too, can be a specialist writer and create a blog (since it was a class on sports & specialist blog). As long as you have an interest, you are well on your way to being a specialist in that subject. Ultimately, what is important isn’t the subject, but our voice in that subject – much like the opinions of columnists that you see in the newspaper. So here it is. My sports and specialist blog entry for our class, and I won! (Ross made us all compete against each other to create a specialist blog entry). I hope that this will inspire you to start writing on your interest and be a specialist! Specialist blog: Do you hear them when they cry? Refugees, wheelchair users, street children, homeless and the poor. These are among the communities that are being sidelined in Malaysia. There are a recorded more than a million of them in the country but, the issues that they are facing are still almost unheard. Thanks to advocators like the Human Rights Commission of Malaysia and Amnesty International Malaysia (AIM), their hope of a better and dignified life seems not just wishful thinking. Also, last month saw actor Zahiril Adzim, 27, and director and scriptwriter Faisal Mustaffa, 40, who’s passion for disempowered Malaysians got them to produce a documentary titled Demand Dignity. The documentary highlights poverty and human rights issues that are happening in the street of Kuala Lumpur – a contrast to the usual bustling booming city it is viewed as. The film was shown at one-day film festival organised by AIM in conjunction with Valentine’s Day. As for myself, I am in the midst of publishing my book about 10 people from different marginalised communities in Malaysia. It started when I took care of a wheelchair-bound friend for eight months. During those months, I was appalled at how difficult it was for him to move about or even to hold a job. In other words, he was refused the right to living like a normal human being, to a dignified life. I suppose the emerging number of works in Malaysia is a sign that these issues are gaining momentum and the respect it needed. My hope is that these works, like the film and of course my soon-to-be-published work will not be in vain and make a difference in the lives of the marginalised people. Interracial Relationships… what do you think? Love is blind, love has no color, love lies in the heart, all you need is love..etc etc .. I can go on and on! In reality, are those words really true? Let’s hear the opinions of three people of three different races and nationality on interracial relationships. Note: Names have been changed to protect the identity of the interviewees. It is dark, cold and stifling in the fishing boat. Thida shifts his seating position to relieve the pressure on his behind from sitting with no adequate back support for too long. They’ve been in the sea for 3 days. He knows this because he has been observing and keeping count of the sunsets and sunrises since they left the shores of Myanmar. Thida Ye, a 30-year-old man, is one of the 700,000 Myanmar refugees fleeding the country out of fear of prosecution by the government. They are hoping to find salvation in a nearby country – Malaysia. Thida will soon discover that the life that is waiting for him in Malaysia is nearly as tragic the one he left behind. Earlier this year, Malaysia’s Home Minister Hishammuddin Hussein disclosed in a parliamentary debate that Malaysia had caned 29,759 foreigners between 2005 and 2010 for immigration offences alone. Stories of abuse and torture among refugees by Malaysian authorities are what Thida will be hearing from his comrades once he steps foot on this country. As I spoke to him in his home, Thida reveals that Myanmar refugees are facing wretched existence in Malaysia. Not only are they living in fear of abuse and extortion from Malaysian authorities, they have also had to deal with stigmatisation from the local community. “Once, my brother and I were walking to the nearby market when a local man started shouting at us. He knew we were refugees. He was barking foul words at us calling us ‘dog’, and ‘filthy’. He accused us of spreading diseases in this country,” Thida recounts his experience and shakes his head in disbelief. He believes that this is a result of the Malaysian government’s refusal to recognise refugees in the country. Malaysia is not one of the signatory to the 1951 UN Geneva Convention, which protects the fundamental rights of refugees. Because of this, refugees are considered ‘illegal’ with no distinction between them and undocumented economic immigrants. “My brother and I, we’ve been detained and released for countless of times. We have become ‘experts’ at dealing with this. That is why I save up on cash from whatever work I can find. I once paid an immigration officer RM5,000 (£1,000) for the release of my brother from detention. I wish I could say that the other detainees got their release too but that is exactly what it is – wishful thinking,” he said. According to Thida, detainees are often abused or extorted in exchange of basic items like food, hygiene products and – like in the case of his brother – freedom. But even the freedom that these refugees attained, he says, are sometimes short-lived or even worse, non-existent. “They treat as if we are not humans. After all, we are virtually non-existent because we don’t have proper documentations. We do not have passports as our own country refuse to accept us. On the other hand, this country (Malaysia) refuses to acknowledge our status as refugees. We are like ghosts,” Thida remarks frustratingly. Security, food, hygiene and medical help are among the needs Myanmar refugees lack access to in this country. Without an ID, Thida and his fellow community member find it impossible to hold a job. Even when jobs are offered, employers often pay them pittance because they know that they will not be penalised for it. “Many of us walk in the streets in fear. Fear that an authority officer will catch us and threaten to deport us back to our country. Fear that a local will discover our illegal status and treat us like we are not human beings. They think we are here by choice. They think that we are criminals. They even think that we are infested with diseases to an extent where some don’t even want to come near us. “But what most people don’t know is that we don’t have a choice. We left our country because we were being discriminated by our own government and most of the time refugees are people who escape execution or life-term imprisonment. Thida stresses again that the problem lies in the refusal of the Malaysian government in recognising the status of refugees. Thida cites some cases where Myanmarese women refugees are raped and abused by officials. “Malaysia and Malaysians need to know and realize that bottom-line, refugees are human beings too that were denied their rights in their own country. As a developing country, it is unfair to deny ad judge refugees their basic right to freedom and protection. Top British stars gathered to raise £8,000 for a writing and human rights charity network, earlier this month, at the Kilburn Tricycle Theatre. Sir Ben Kingsley, Dame Harriet Walter, Bill Patterson and Mathew Macfayden were among the celebrities to read from books that inspired the former and current president of the network. “It is a great honour to be involved in this evening with two great writers who recognise the importance of supporting voices that are unheard and suppressed. As actors, we are indebted to writers for the significant role they play in our working lives,” said Patterson after the performance. The stars read excerpts from Tolstoy, Salman Rushdie, Philip Rothman and Carol Ann Duffy, among others, in their own unique talent way in support of the English PEN Network. Lisa Appignanesi was president of the network for 4 years before handing over her title to Gillian Slovo at the intimate but star-studded evening. “Tonight is about sharing the great joy that literature can bring to our lives and I am fascinated to see the inspiring energy that it has created. PEN is about promoting the freedom to write and read and it has been an honour to lead this great effort,” said Appignanesi. 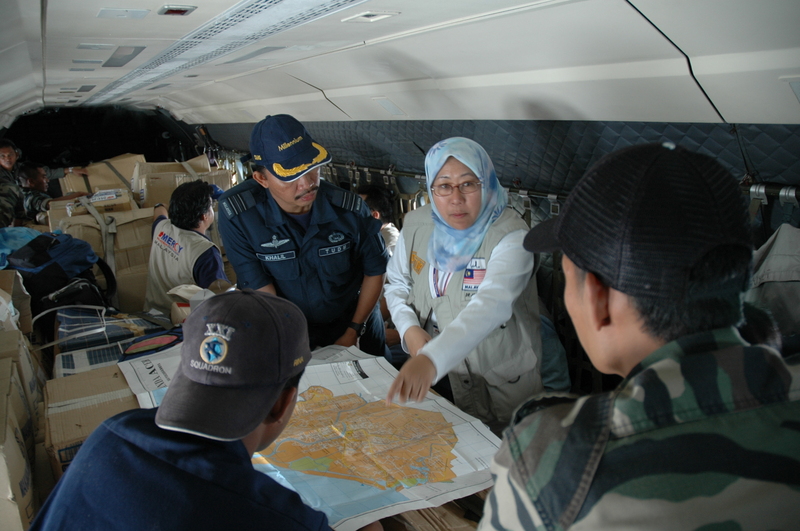 Almost 10 years ago the mention of humanitarian or volunteer work was foreign to anyone in Malaysia, but thanks to Dr. Jemilah, it is now considered a ‘trendy job’. I would like to believe that I’m not the only one with a skewed romantic view for this kind of work. After a year of working with her and listening to her countless stories, my original view of the work was far from the reality. In one of her stories, she spoke about her shocking and painful experience while serving in Baghdad in 2003. After offering medical relief and supplies to a hospital, her van was attacked by Iraqis. Dr. Jemilah and her team were mistaken to be Syrians who the Iraqis thought had bombed their village. She was shot at the hip. Luckily, she survived, but the driver and an Iraqi hospital assistant died. She always reminds me that “humanitarian work is not easy especially when you do it voluntarily. The only way to go with it is to have an all-or-nothing stance”. She once said that her family and her own career (as a practicing obstetrician and gynaecologist) are her biggest sacrifices. “As a full-time volunteer, this takes away a lot of time from my husband and two sons. But I know I have full support from them,” she says oftentimes referring to her husband as her cheerleader. Growing up in a family made up of a mix of nationalities, race and religion, she often equates her family to a mini United Nations. Her father is Malay and her mother is Chinese and she has a half-sister who is British. When she was growing up, her father used to take in visitors who wanted a place to stay and eat so her house turned out to be a one-stop place filled with people from all walks of life. I suppose this made it easy for her to adapt to her surroundings when she took up the offer to be the Chief of Humanitarian Response Branch in the United Nations Population Fund in 2009. Basically, she is in charge of sexual reproductive health and population issues for the United Nations. Although humanitarian voluntary work is far from the romantic view I initially had, Dr Jemilah’s all-or-nothing attitude still keeps me driving to do the things that I am passionate about in life – writing and doing voluntary work. In this show, Guy, a part-time motorbike racer and full-time lorry mechanic, attempts to revive the glory days when Britain was once a giant workshop that produced a plethora of goods. And he is doing this by refurbishing a rundown boat named ‘Reckless’. 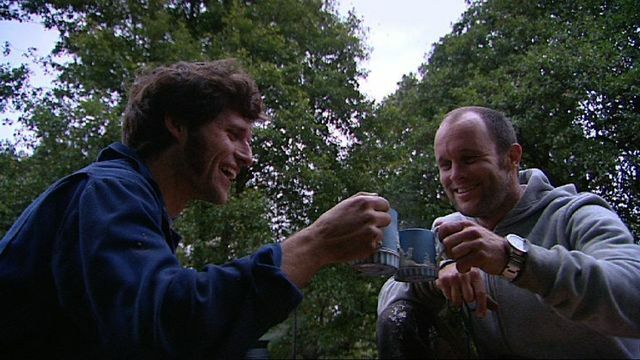 In the first episode which aired on BBC1 yesterday, Guy and his best mate, Mave, set off to furnish the boat with the most basic thing any vessel aspiring to explore the English canals should have – an old school cup of tea. To accomplish this, the pair looked into creating their own metal cauldron for boiling water, ceramic mugs to drink their beverage (not just any ceramic but the famous Wedgewood ceramic mugs) and of course all this will not be complete without the best selection of tea. They go on to seek experts’ advice and assistance to ensure that everything is done in the right way to reproduce the finest of British inventions. 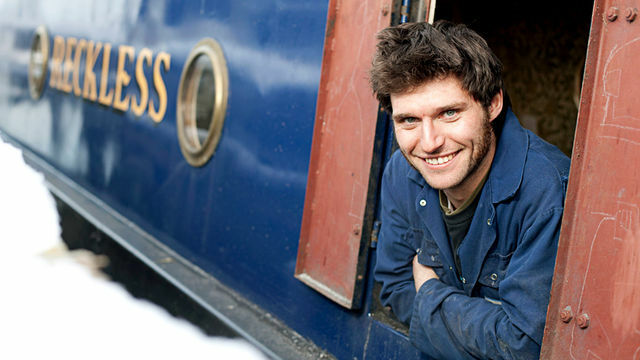 As canals were an essential part in the growth of Britain’s greatest cities, throughout the show, audience gets a sneak peak of the beautiful streams that line through the country and at the same time learn a little bit about how boats are used and travelled in the 19th century. Guy also learns the art of ‘slurping’ and ‘sucking’ tea in order to get the right taste for his much-needed break-time beverage with the help of a couple of tea experts. At the heart of the show, Guy’s passion for celebrating the finest and best of British will surely get patriotic Britons hooked on to discover more of the country’s greatest inventions during the industrial revolution. For the rest, Guy’s boyish looks coupled with his fascination for every little discovery is just downright amusing to watch. Dressed in his mechanic clothes with dishevelled facial hair and manicure, the show doesn’t get any more real than this, giving it a fresh outlook to the reality shows that are already flooding our TV channels. Dame Harriet Walter, Bill Paterson, Mathew Macfayden and Ben Kinsgley are set to join an evening to mark the handover of the English PEN Presidency at the Tricycle Theatre, Kilburn High Road on 6 March 2011. The event entitled Inspirations will see stars read from books, plays and poems that have inspired both the current president Lisa Appignanesi and future president Gillian Slovo. The stars will be reading from a selection of literatures by authors like Carol Ann Duffy and Salman Rushdie. The English PEN hosts a wide range of literature and human rights events such as book launches, author talks and night classes. More information is available at http://www.englishpen.org. This work was written as part of my tutorial assignment in reference to The Times’ A Life in The Day Of feature. You can read some of them from The Times online archive here and here. Fadli Halimis a 29-year-old Malaysian student of the patisserie course in Le Cordon Bleu, London. He is studying to become a professional pastry chef to expand his bakery and cake designing business. 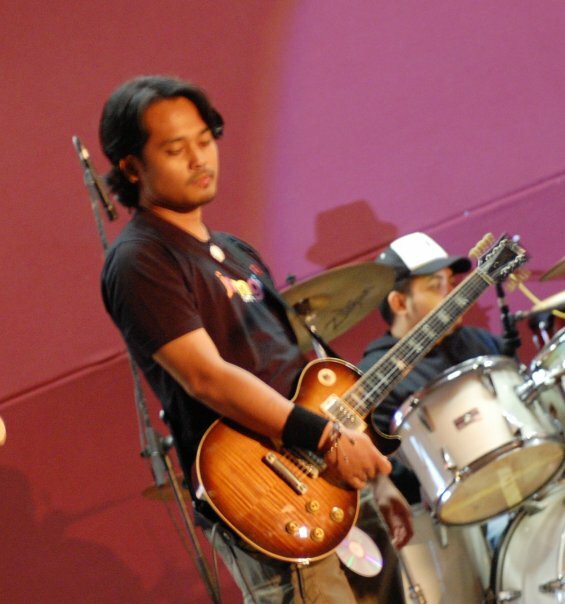 Fadli Halim is also the lead guitarist for local band 'Ribut Taufan'. In class, I pay more attention to the French chefs compared to the English ones. Not that one is better than the other but, the French are more passionate when it comes to talking about pastries and chocolates. After all, pastries, breads and chocolates have a long history in France and it is fascinating to hear some of the French chefs reminiscing about the old days when they used to bake in wooden stoves in their little houses in the villages of France. It is comforting and heart-warming to hear the stories which is what I aim to create with my cakes and desserts. 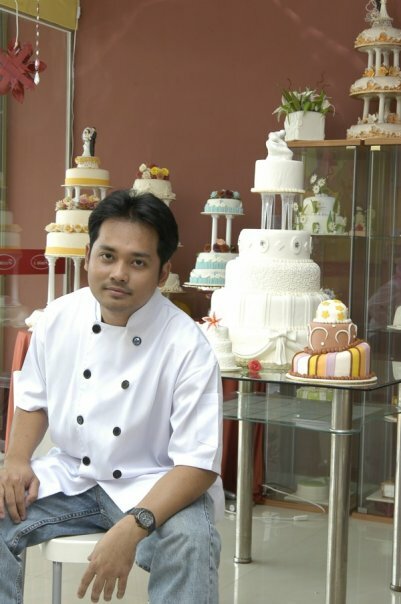 Fadli owns a shop where he designs and bakes a variety of wedding cakes. Hanims Cakes is located in Batu Caves, Selangor in Malaysia. Photo by Amie Green. When I was a child I used to play with clay models and would create things like cars, houses, flowers and buildings. Then I grew older and I found out I could do this with sugar and flour. What’s more fascinating is that these creations are edible! Interestingly, at school, we are all given a set of knives to work with ans we were told that the knives were extremely sharp. I didn’t give much thought about the knives until I heard about a girl who almost lost a finger from what would be a slight cut from a normal house kitchen knife. She had to quit the course because she couldn’t perform without the full use of her fingers. I find that my fingers are my most prized and valuable body part. I always tell people that I may not be as intelligent as you want me to be, but when it comes to utilising my fingers, I’m a master at that. That’s why besides cake designing, I’m also a guitarist for a local band. Classes usually last until 6 in the evening and sunset times vary in London. In Malaysia, you get sunset at about the same time everyday and we get equal hours of daylight and night time. Over here, I learnt about the term ‘winter depression’ as the nights are longer and very cold. To avoid this, I spend time in my kitchen by making pastries and chocolates or trying out new cooking recipes. I miss the creative process of designing a cake though. The most bizarre request I ever got from a client was to design a 5-ft cake shaped into a Moroccan-themed dome-like monument for his parents’ 50th wedding anniversary. I took a drive around Kuala Lumpur and studied the design of mosques to do that one and it was particularly challenging. I spent a whole week to complete that cake but I always love a challenge. My dream is to create a high-heeled woman’s shoe-shaped cake. 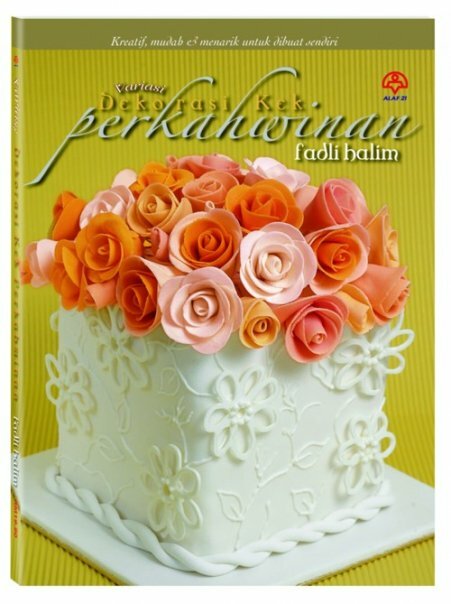 Fadli's book on wedding cake designs are available at all major bookstores in Kuala Lumpur. Photo courtesy of Fadli Halim. I was required to write a 500-word feature story for one of my assignments and I decided to revisit a chapter from my unpublished draft book entitled “Do you hear them when they cry?”. The book centers around 12 people from marginalised communities in Malaysia who have been sidelined by society. It aims to get their (often ignored and silenced) voices heard by the Malaysians. Mohd Hazrin Razali is a 25-year old jobless man. For half of his life he has been struggling to ‘stand’ tall among his friends, family and society. His hobbies are just like most Malaysian men. He likes playing sports, watching movies, playing arcade games, crooning at elegant, sporty cars that pass by, chit chatting with women and many more. But instead, he is locked up in his 600 sq ft flat sitting and watching television all day. Hazrin is what society calls a ‘disabled’ person. On 12 December, last year, Malaysia’s Bar Council Human Rights Committee held a forum that focused on the rights of persons with disabilities. It was held in conjunction with Human Rights Day. Hazrin was keen to share insights on how it is like for wheelchair users like him to live in a country like Malaysia. “Often times, I don’t see the point of celebrating occasions like this (Human Rights Day) even when the focus is on ‘disabled’ people like me,” he cringed as he spoke the word ‘disabled’. Hazrin explained earlier on that he prefers to use the term “physically-impaired” instead of disabled. At the age of 14, Hazrin sustained severe neck injuries during a football practice at school. As a result of that, doctors told him that he will be paralysed from his chest down and is wheelchair bound for the rest of his life. Two weeks after, he had to leave school as it was impossible for him to continue his education in his condition. “They told me that boys in wheelchairs will not be able to keep up with school especially when the classes are all only accessible by staircases,” he said. Since then, Hazrin said he has been sidelined by society. Hazrin cites experiences where taxi drivers have charged him exorbitant fares because they know that he has no other choice of transportations. He shrugs when asked about the Government’s effort at providing wheelchair-friendly busses and trains. “I may be physically-impaired but I am perfectly able!,” he remarks adding that he is able to learn study, work and earn his own living if only he is given a chance.